Like it or not, the party was in Bogenhafen for Schaffenfest, coin pouches still bulging from their last job. Unwilling to waste the time, they seek employment as bounty hunters from the town councilor. He had no work for them at that time, but stated he would keep them in mind. There was naught to do but attend the Sheep Festival. The councilor reminded them they could not sell any sheep because they did not have the appropriate permits (a new trend starts). No one hits like Gascon. No one crits like Gascon. No one swings, no one swears, no one spits like Gascon. It took the whole party piling onto Gascon to hold him down. A few tried individually, which ended with bruised ribs, bruised pride, and a halfing punted an impressive number of yards. The party was FINALLY able to get paid for all services rendered (the burgomeister tried to underpay us, but Wilfried was all over that money). It didn’t take long after payment was received before the party headed back toward the Altdorf Road, with a new member: Emmanuelle. I didn't take chapter-specific notes like I often do for adventures. This book is a setting. It explains the conceit, the region, rivers, villages, and towns. 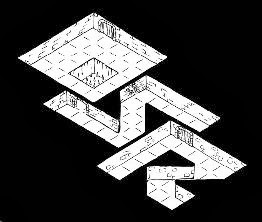 The conceit is essentially warpstone (see Warhammer Fantasy Roleplay) that has landed in the area, leaving creatures warped and the atmosphere green. There is an extensive bestiary of queer, unique creatures. There are a few magical items, and there is an adventure in the back. The adventure doesn't seem to fit the setting very well, almost like it was generically written and just plopped into the back of the book. 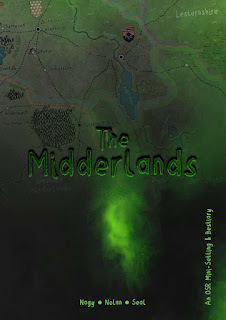 I stopped reading early on in the adventure when it didn't particularly seem to fit the Midderlands. There may be some specifics in the middle or end that shoehorn the setting in. In all, I'd definitely give the setting a try. I wouldn't necessarily want to run it at this point, but I would really be interested in some fiction from this setting.